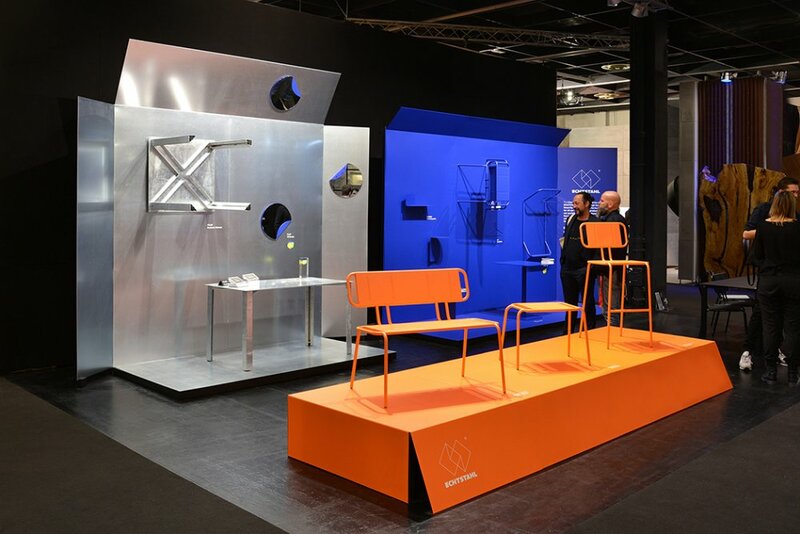 For the IMM 2019 in Cologne we were again assigned to design the Echtstahl exhibiton stand. 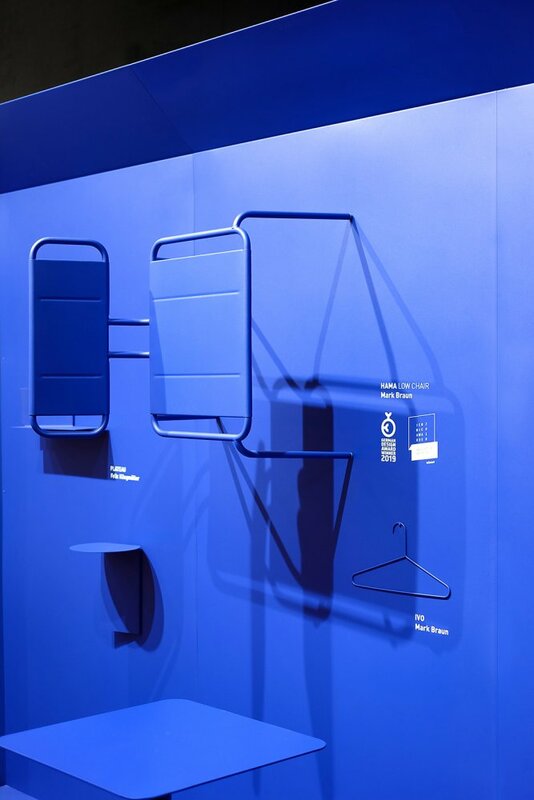 Made of folded, coloured and zinced steel plates, the products were shown like in an opened box. Echtstahl presented a row of new products, so our new HAMA bench, stool and barstool as well as products by Geckeler&Michels and Uli Budde.